I finally watched the Captain America Civil War movie. I liked it. My favorite scene was Tony Stark and Peter Parker in Parker’s room. I loved this take on Parker and Spidey. Just as entertaining were Spidey’s fight scenes during the hero versus hero battle. I loved the banter, the annoyance of Spidey’s friends and foes, the whole thing did a great job of transporting me back to the days when I loved reading Spider-Man. The movie got me thinking about Spidey’s interplay with the other heroes in the Marvel Universe, these weren’t Spidey villains, these were a bunch of other heroes we all know and love. The interplay is different and when done right it’s very enjoyable to watch. Somehow the whole thing inspired me to choose Marvel Team-Up #1 as this week’s Undervalued Spotlight pick. Team-Up books were nothing new when Marvel Team-Up started in 1972, DC had Brave and the Bold and its Batman team-ups running past 100 issues by then. But what Marvel and more specifically Marvel Team-Up did better than anybody was parlay the chummy quips, the timing and humorous banter into something fans really loved. I know I did. 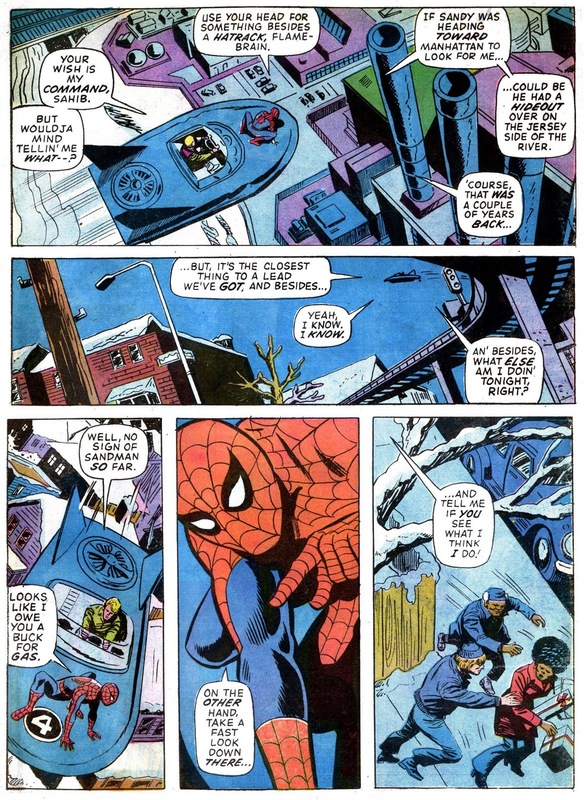 When Marvel Team Up was published most of Marvel’s heroes were not even 10 years old yet, Spidey wasn’t even 10 yet and the way Marvel Team-Up was written with Spidey co-starring with other Marvel stars had a great influence on furthering along the whole “Marvel way”, Marvel was not done innovating. We can look to the Marvel Team-Up run as a template for the way Marvel writes today and for the way they portray the on-screen hero interaction Marvel is doing so well with these days. I feel like I’m not saying this right but Marvel Team-Up made Marvel better: it was an innovative title that took the company’s best characters, brought them together in a way that created deeper, more layered characters. 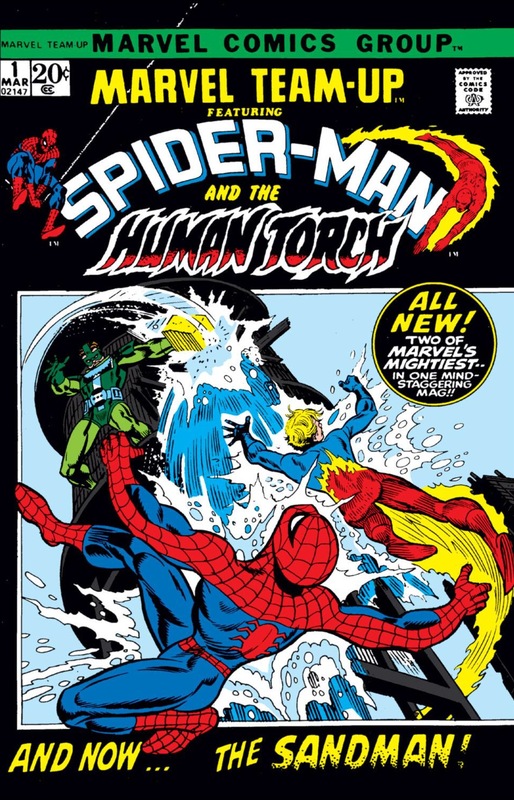 And though Stan Lee planned the Team-Up title to rotate through multiple anchors including Human Torch and Hulk, it was clear early that this would be a Spidey title. It’s kind of the second Spidey title the way I see it, pushing 1976’s Spectacular Spider-Man to 3rd. 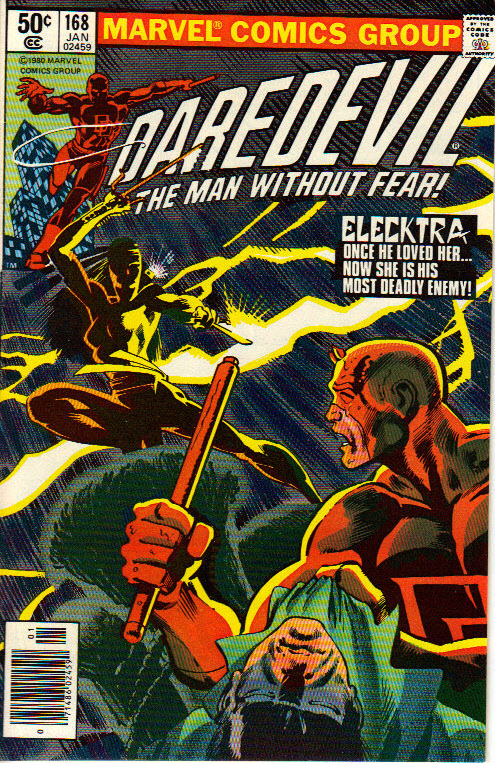 The great Gil Kane cover delivered in that uber collectible square box cover style of the early Bronze Age make this comic quite the eye catcher, especially in any kind of grade. The most recent sales have been flat with results coming in below Guide. A CGC 9.2 earned $239 earlier this month while a CGC 9.0 got $175 last month. This book is super scarce in the very high grades, that tough black cover makes 9.6s and 9.8s almost impossible. As of this post only 13 of the 649 Universally CGC graded copies come in at 9.6 or better. Stick to grabbing a nice crisp, tight and well centered 9.4 or 9.2, they are bargains at these prices. The 46th Overstreet price breaks for this book are $83/$182/$280 in the 8.5/9.0/9.2 grade splits. I have always loved this title and book. In many ways a “me too’ title copying an established DC series, but they did it as you say in the Marvel way. The first twenty issues of the title establishes the content of the rest of the series really well. It is a little “lighter” in tone than the Amazing Spider-Man with very little of the day to day problems associated with Spider-Man’s life. He is often called Spidey instead of Spider-Man . The series does a wonderful job of mixing in new bronze age characters like Morbius (#3 &4), The Cat #8, Werewolf by Night #12, Ghost Rider #15, and the new Captain Marvel #15 with old Marvel stalwarts like Iron Man, Captain America and Thor.. Established lesser seen characters and groups like the Inhumans, Black Panther, and Kazar are not forgotten. The Human Torch/Spider-Man team is front and center throughout the series. Marvel Team-Up #1 is a great Christmas themed book and I have given many lower grade copies away as gifts to kids in the past. It starts a great reader run for Spider-Man fans of all stripes. I like the book and pick. Nice pick Walt. This book also contains the first appearance of Misty Knight who is one of the main supporting characters in the new Luke Cage TV show. Carey… Just curious. 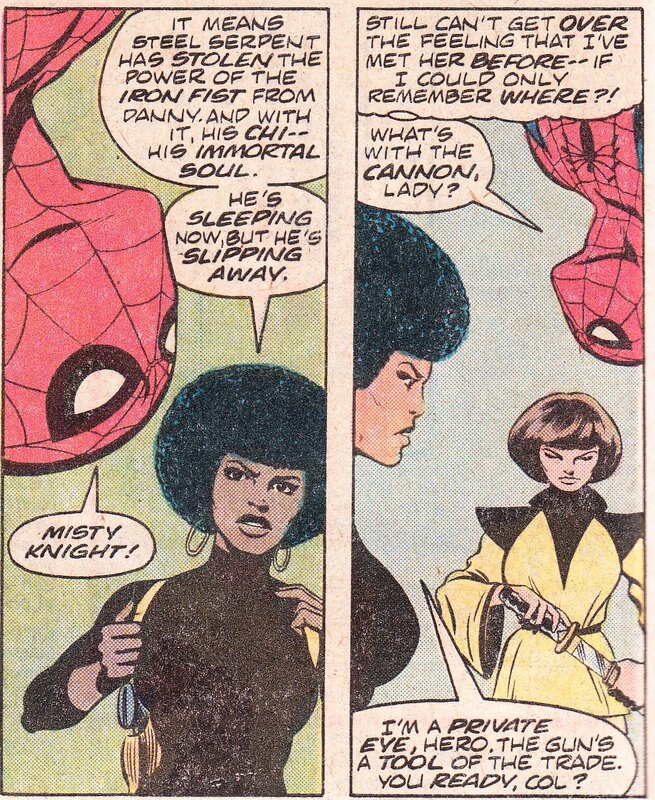 Is Misty Knight named is this issue. CGC notes that the woman saved was later identified as being Misty Knight but not sure if it’s one of those Kamala Khan deals. No, it’s a retcon first appearance. 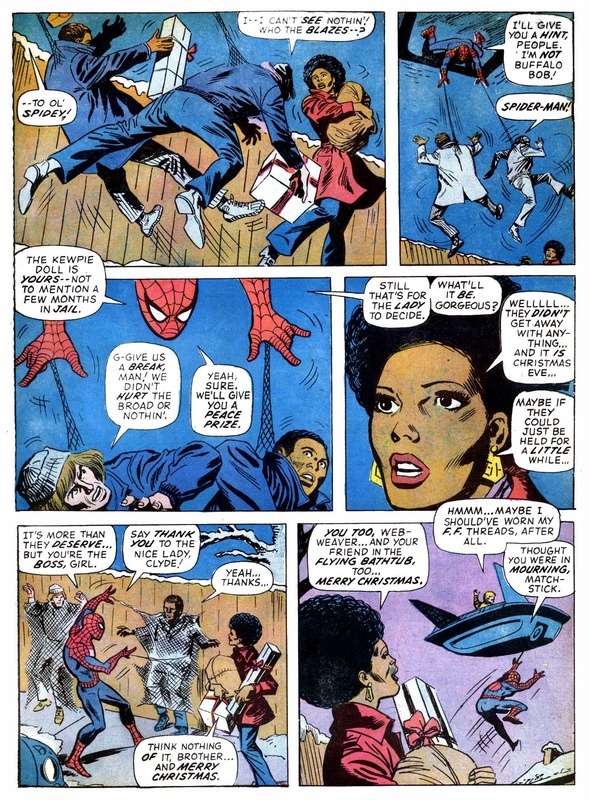 Spider-man saves her from a bunch of muggers in Marvel Team Up 1 but she is not named there. Spider-man and Misty meet again in Marvel Team Up 63 and 64 and Spider-man seems to recognize her from somewhere but can’t remember where. But at the end of Marvel Team Up 64 Misty mentions the incident from Marvel Team Up 1. Here is the Misty appearance in Marvel Team Up 1. Here’s their next meeting in Marvel Team Up 63 and 64. Yes, thanks guys! I went checking too. MP 21 is 1975; she is also mentioned by name but does not appear in MP 20. This undervalued spotlight gives me the chance to ask a question that’s been on my mind for a while now: What’s the big deal with Marvel’s picture frame covers? I noticed a while back that Comicconnect makes it a point to note the comics that have the ‘picture frame Marvel’ cover. You say here that the square box cover style is “uber collectible”. Why? Not all the picture frame covers are black as with MTU#1, so it’s not that the frame itself makes them scarce in high grades. You claim that the frame makes this cover quite “an eye-catcher”. I can’t say I really agree, but tastes differ. In my opinion, using a frame negates the unique opportunities offered by the expansive space of the cover. When I think of iconic covers, none use the picture frame style (maybe Barry Windsor-Smith’s cover for Conan #16). Sorry Walt, when I reread your piece I see that for you it is Gil Kane’s art that make it the eye-catcher, not simply the fact that it’s in a frame. Funny how you can hesitate over the ‘send comment’ button for a long time trying to get things right and still screw up on basic elements of reading comprehension. My question about the collectibility of the picture frame covers still stands. A wonderful post Walt and I couldn’t agree more. Gordon, I also loved these framed covers and the slight 3D effect it created, Harvey Comics used a similar cover approach with the cover framed like a TV screen reminding kids that their characters appeared on Saturday morning TV. Something different I guess and certainly a matter of taste. 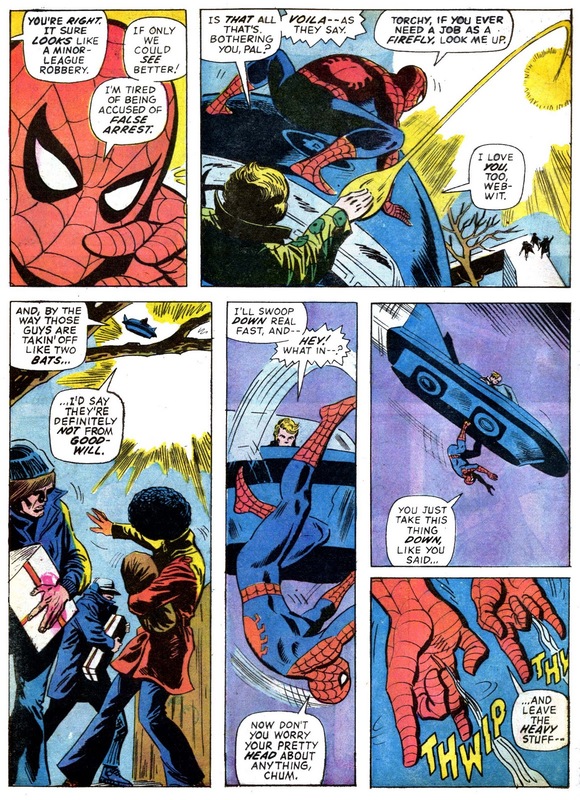 But it certainly does identify a certain time frame in Marvel Comic History…kind’of interesting in itself. Best of all this title and Marvel two in One showcased the lesser Marvel characters that we all wanted to see more of. Hey Gordon, I think Dave touched on it. There is a distinct “moment in time” feel to the square art Marvels of the early 1970s. They are very distinctive and many enjoy that look. It could be nostalgia it could be aesthetics and as Dave says – framing and 3d effect. I know guys that love the Checker Board top border to the DC books of the mid 1960s and it never did a thing for me. So I get your point. 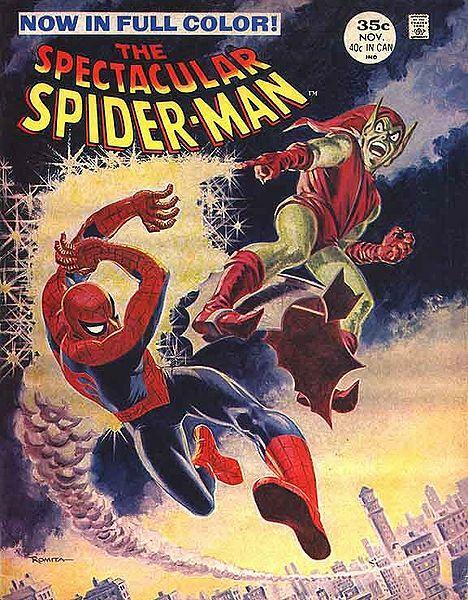 Remember “Marvel Pop Art Productions” from back in the ’60s? Another short-lived gimmick that today only serves to identify a particular point in Marvel History. These picture frame covers are similar to the anniversary covers with a frame of characters around it. It’s just another one of those little quirks that make this hobby so odd and interesting. Whether you collect frame covers, Pop Art covers, anniversary covers or hologram covers, there is always a niche for you.